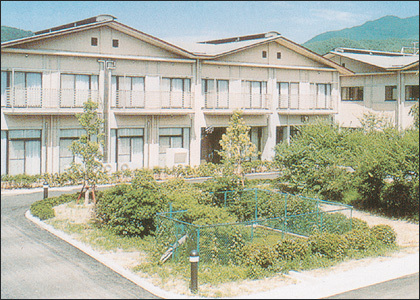 The center was established on April 1st, 2003, by reorganizing the Experimental Farm which had contributed to the education and research of sericulture science for one hundred years. The center consists of three academic fields ; 1) Insect resources : researches on long-term preservation of silkworm eggs as a genetic resource, and practical production of new natural fiber producing domestic and wild silkworms on artificial diets. 2) Plant resources : researches on the development of a cultivation system of textile fiber and dyeing plants, and phylogenetic preservation of these plants, which include mulberry trees. 3) Bio-related fiber science : researches on biodegradable materials as well as the bioengineering production of natural and biomimetic fibers which is in harmony with the environment. On the basis of these researches, the center educates both undergraduate and graduate students in practical work and academic studies. In addition, the center sets up extension courses in organic agriculture for citizens, and carries out an international exchange program of agro-industry with the Silk Innovation Center of Mahasarakham University in Thailand.